The World Kite Museum & Hall of Fame’s purpose is education. The Museum presents specialized opportunities for groups to participate. Some include a discount because of the larger numbers. Others focus on a special aspect of kites that are of interest. Below is a description of options. 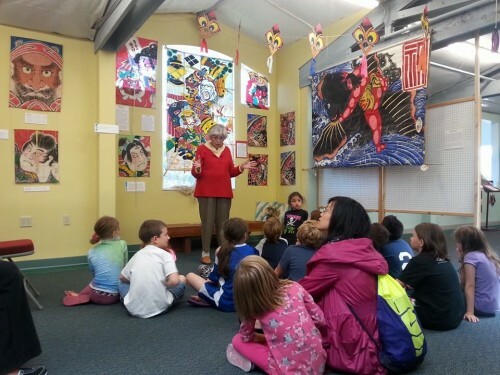 Each year the Museum prepares several educational programs to help school classes meet educational goals. Two different types of programs have been developed. One is using the kite as an art project. Usually the kite material is tyvek and acrylic paints are used. The materials and kite sticks costs need to be provided by the school. The Museum provides instruction in the necessary techniques not only in painting but also in kite making. Planning between the school and Museum is required. Several days are usually necessary. Not only schools but youth groups plan Museum visits. One of the most successful is a visit focused on the kite as a tool. The charge for this varies on the amount of involvement and number of kids attending. For information on field trips or group outings: Contact us.